This entry was posted in Blender, FBX format and tagged 3D, Addon, Animation, Armature, Blender, Blender Foundation, Bones, Export, FBX, GameDev, Import, Shapekeys, Skeleton. Bookmark the permalink. 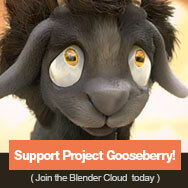 ← Blender is NOT an API – let alone its addons! This is great news! I tested in both Unity 4.5.2f1 and Unreal 4.3; in both engines I have no issues, everything is working great! 🙂 Shapekeys export worked like a charm. I’ll keep testing and report in the bug tracker if I get issues. best would be to make reports at https://developer.blender.org/ (and yes, I’ll need the files too). just done some testing with the Aug 4th blender build (blender-2.71-a90e49e-win64) the fbx importer is great so far even imports the skele meshes i exported from UE4, the issue i’m having now is on import of the test anim, the arms seem to get rotated 90 degrees. i’ve include the fbx + blender files for you to check, not sure if you have access to UE4 but i can supply the assets as well if ness. This is a known issue we are working on currently. Hi Mont, I’m having some problems exporting Shape Keys to UE4. I can get them with the old binary exporter, but for some reason they are not appearing in UE4 when I use the binary 7.4 export. Are there any options I should be marking? Thanks! They work fine with the ASCII exporter, but I get the extra-bone issue 😦 Any workaround on that? Thanks for your help! There is some work on armatures, yes, but only for new 7.4 bin exporter, 6.1 ASCII one is deprecated and no more maintained. I found my solution learning some python, thanks anywa. Eeeeeh… sorry, kind of missed your first post.